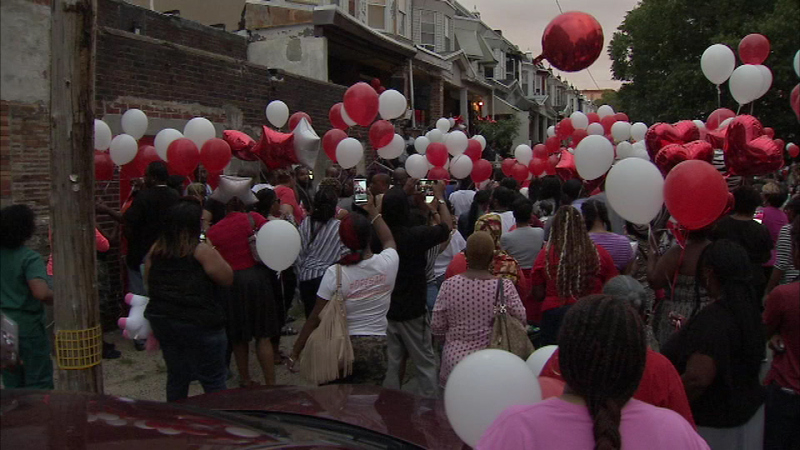 September 6, 2016: Friends and family gathered to celebrate the life of Amber Michael, killed in a double shooting on Sept. 5th in North Philadelphia. 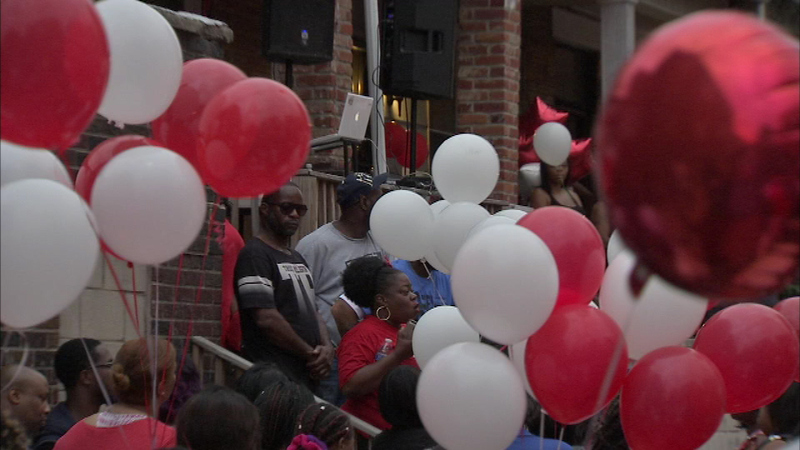 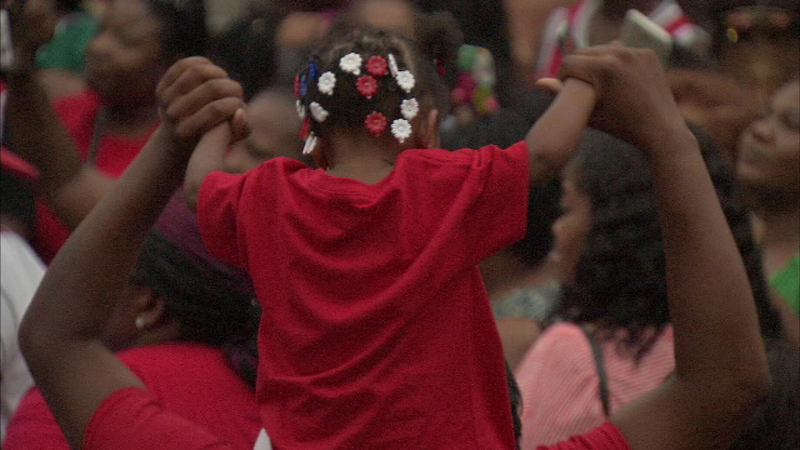 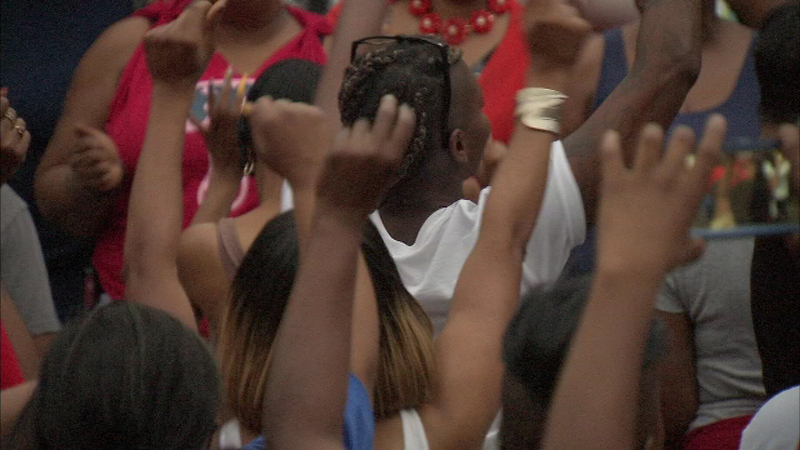 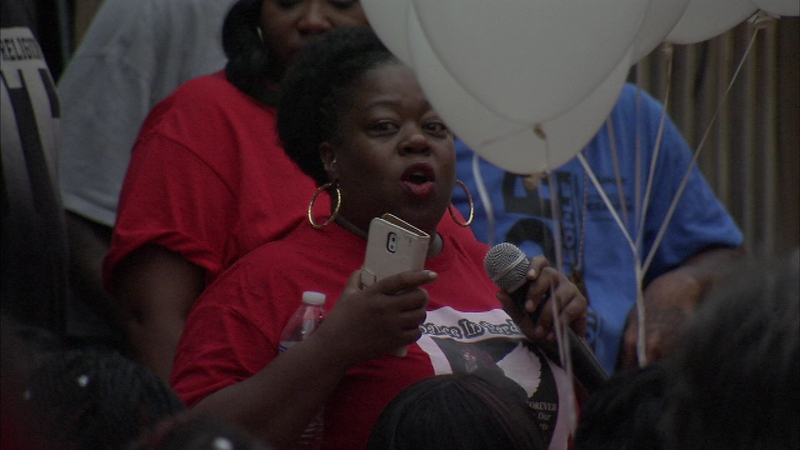 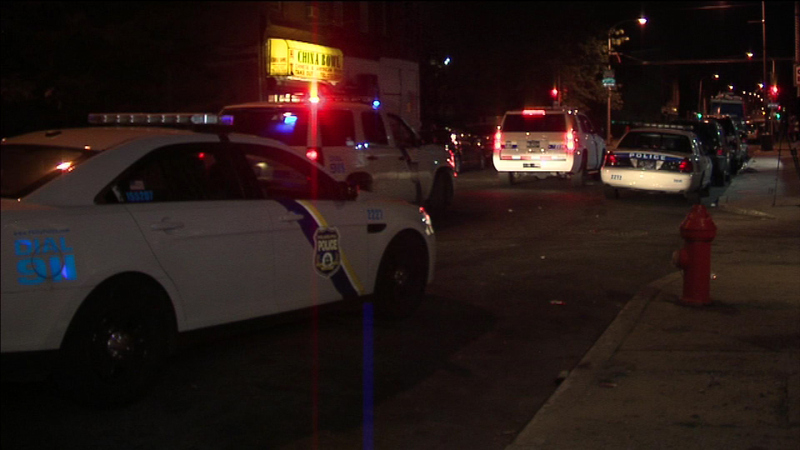 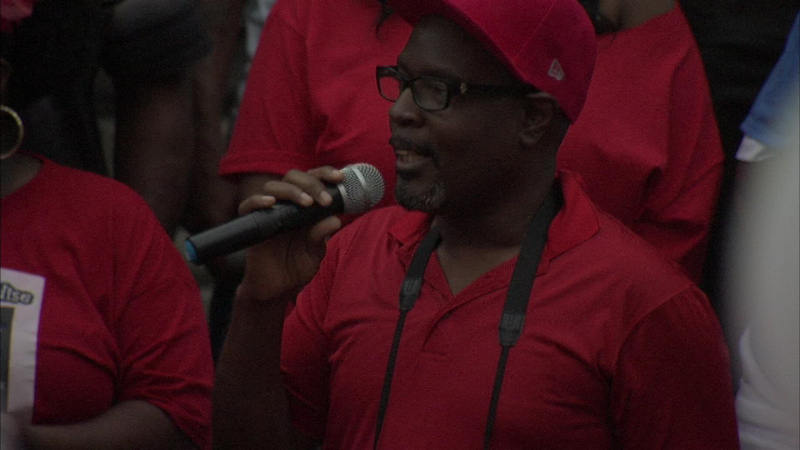 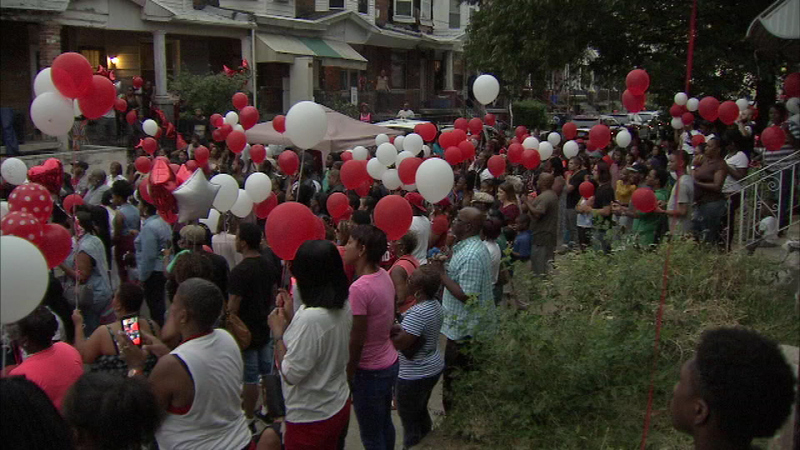 NORTH PHILADELPHIA (WPVI) -- Friends and family gathered Tuesday night to celebrate the life of a young woman who was killed in a double shooting in North Philadelphia. 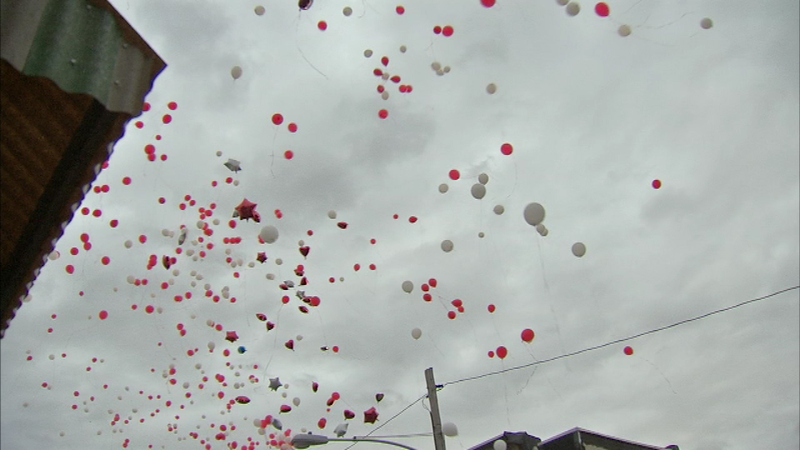 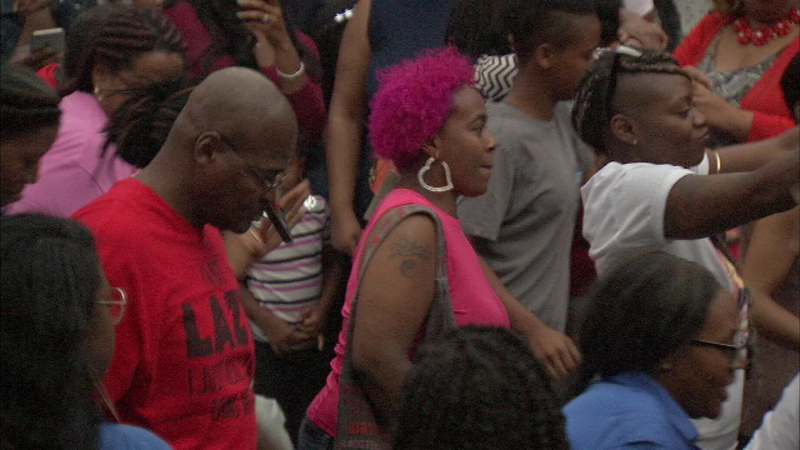 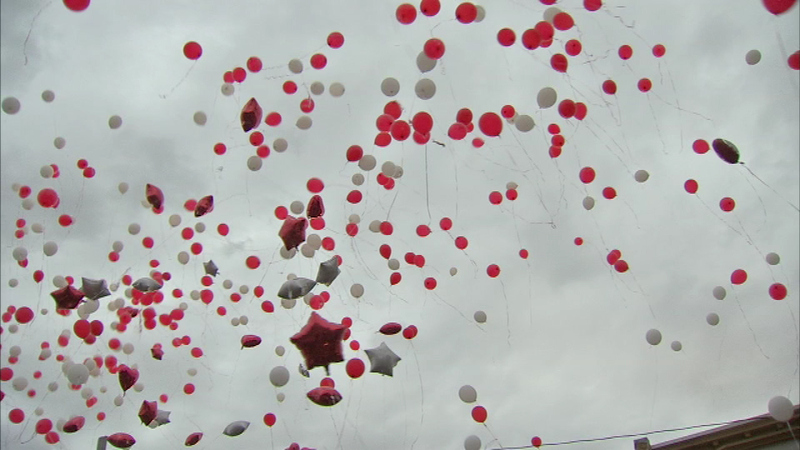 They shared stories about Amber Michael and released dozens of balloons. 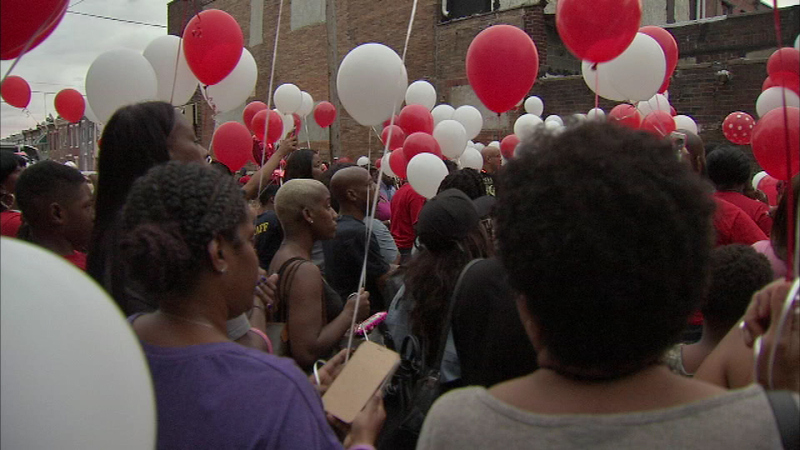 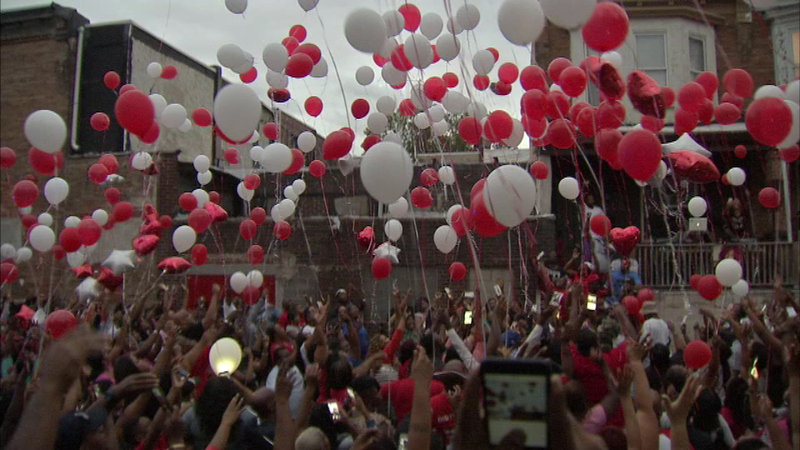 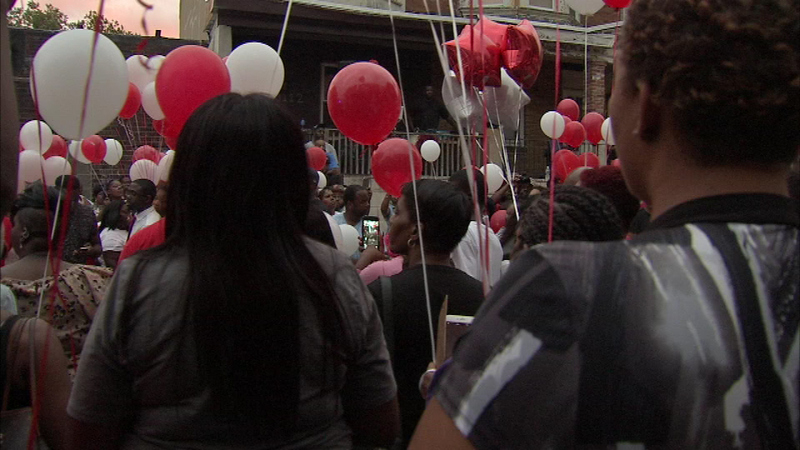 Friends and family gathered Tuesday night to celebrate the life of a young woman who was killed in a double shooting in North Philadelphia. 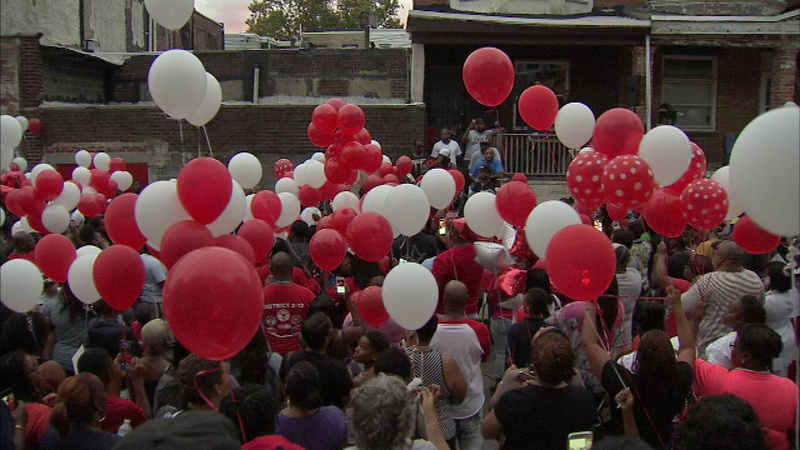 Some even honored Michael's memory by dancing. 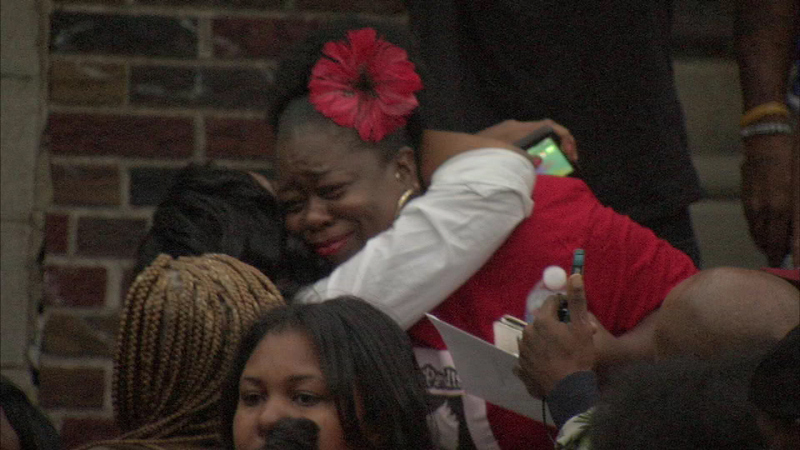 Her family tells Action News she was a lifelong dancer. 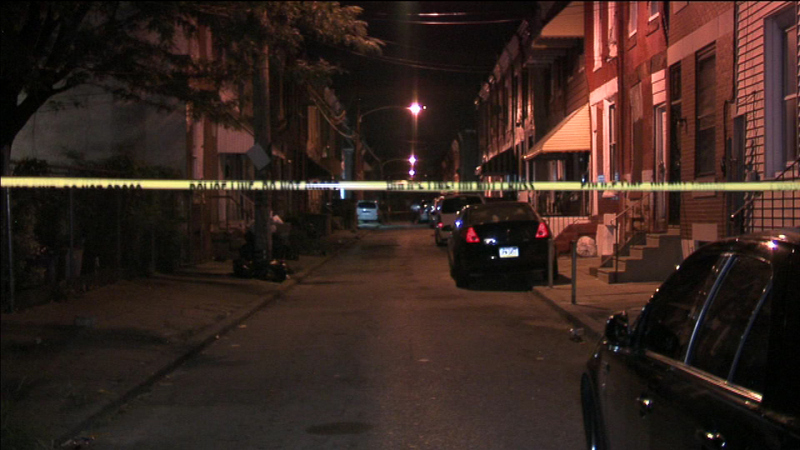 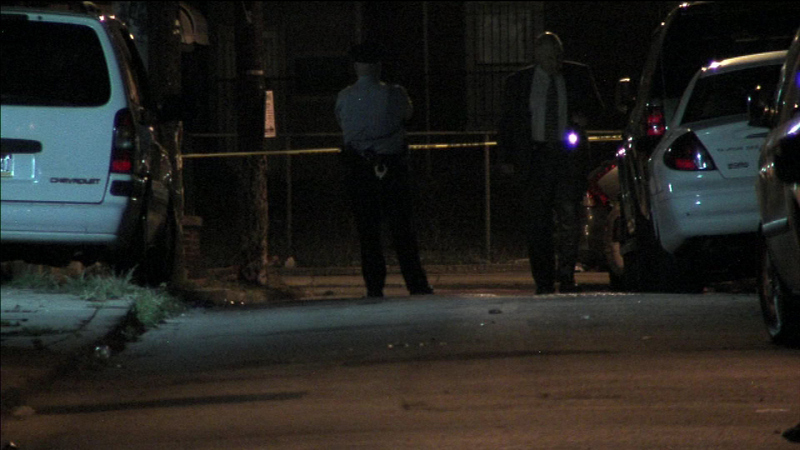 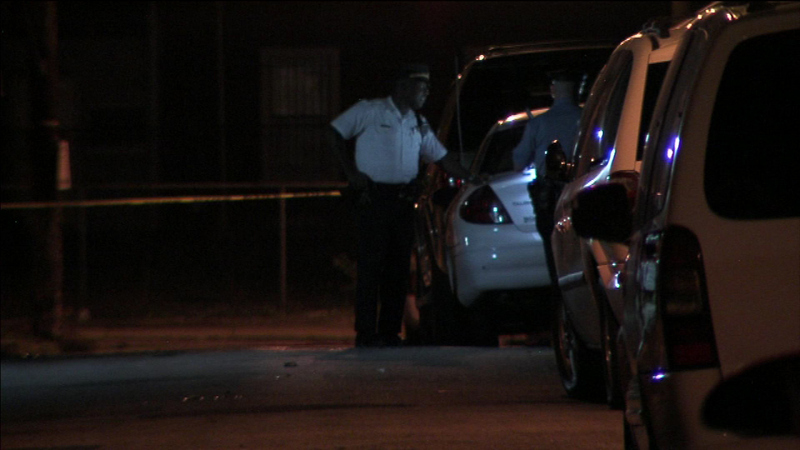 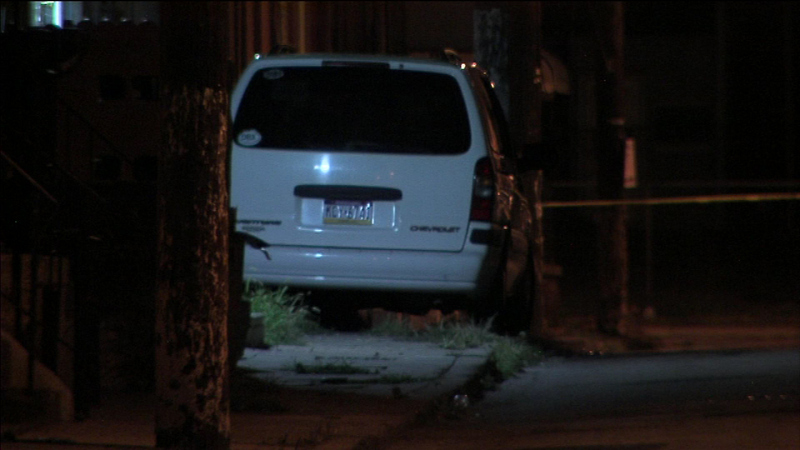 Michael and her boyfriend were shot early Monday morning in the 2200 block of North Chadwick Street. 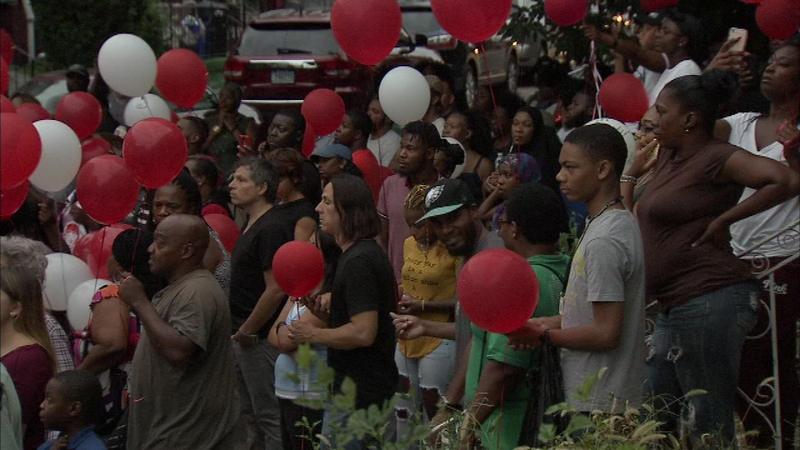 Amber's boyfriend remains in critical condition.